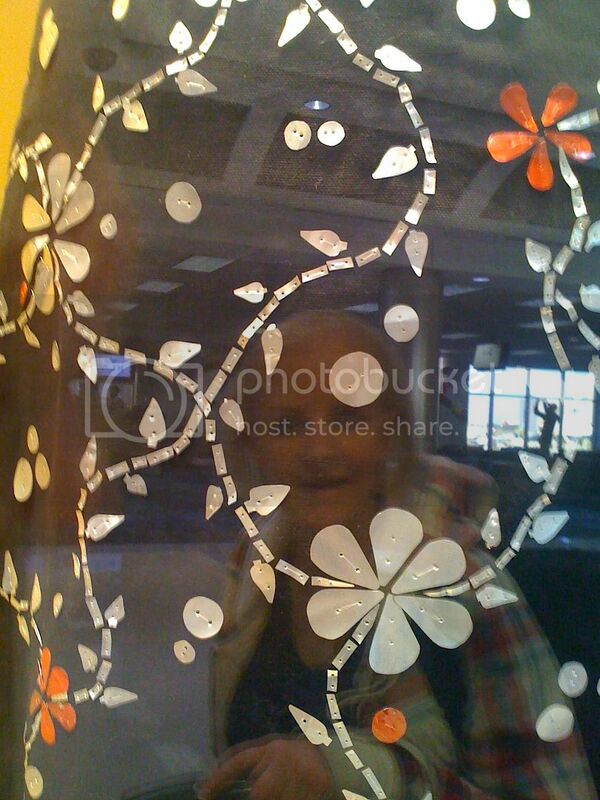 I love love love the fact that art can be found in the most unlikely places, like the Atlanta airport. 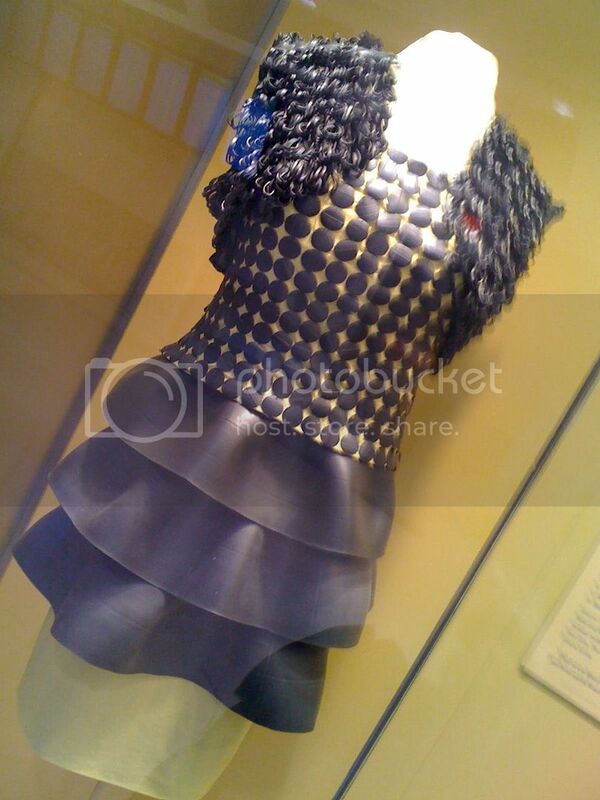 Amazing displays of recycled couture are all over the terminal. I have to share this amazing art with you. 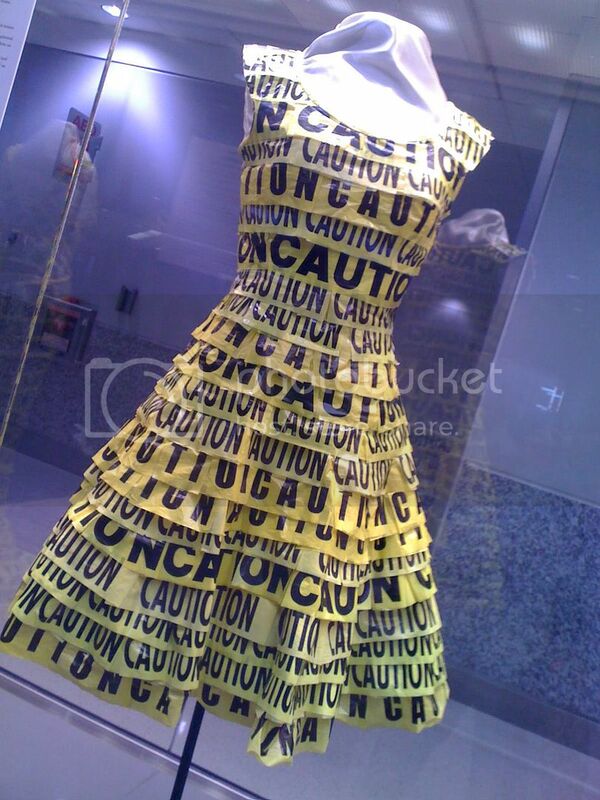 For those of you who want to be extra Cautious…..why not make your next party dress out of caution tape? 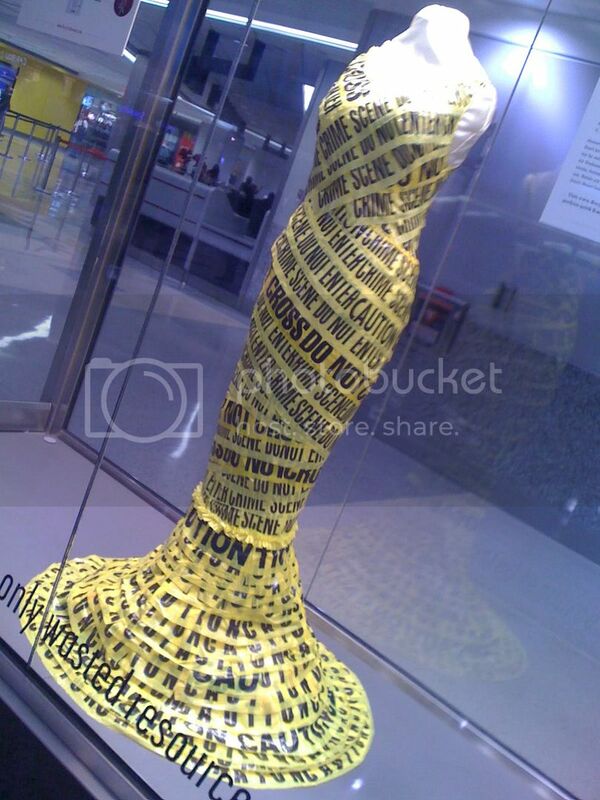 Have you heard the phrase ..”That dress she wore is a crime..”?…well…if so, this one literally is made from recycled crime scene tape – taking CSI to a whole new level…. 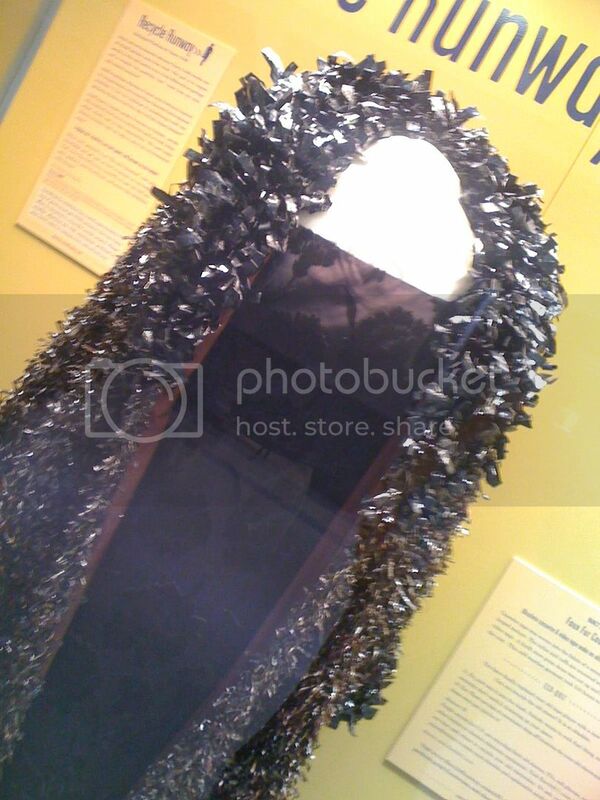 Before you throw out those old VCR and cassette tapes, why not make a faux fur statement with this coat? 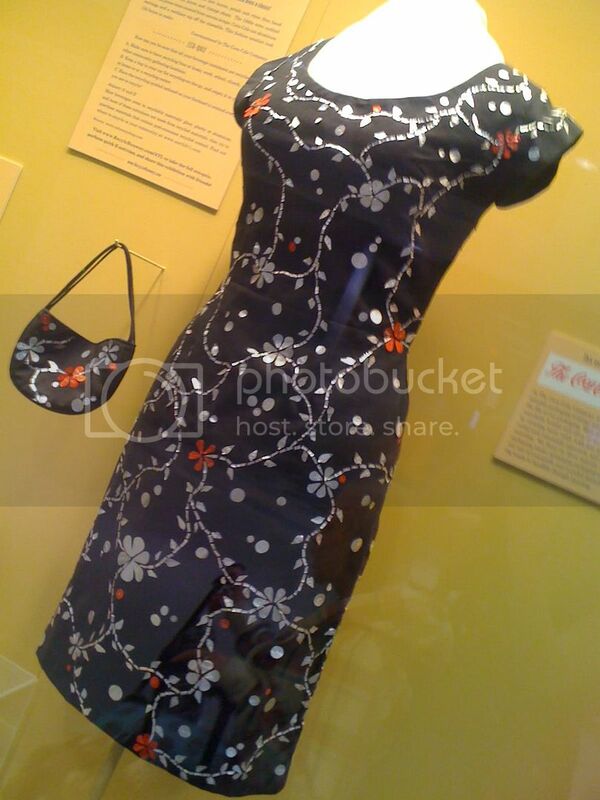 or maybe your convert your “convertable” car into this…made from electrical wire and the vinyl from a convertable…. 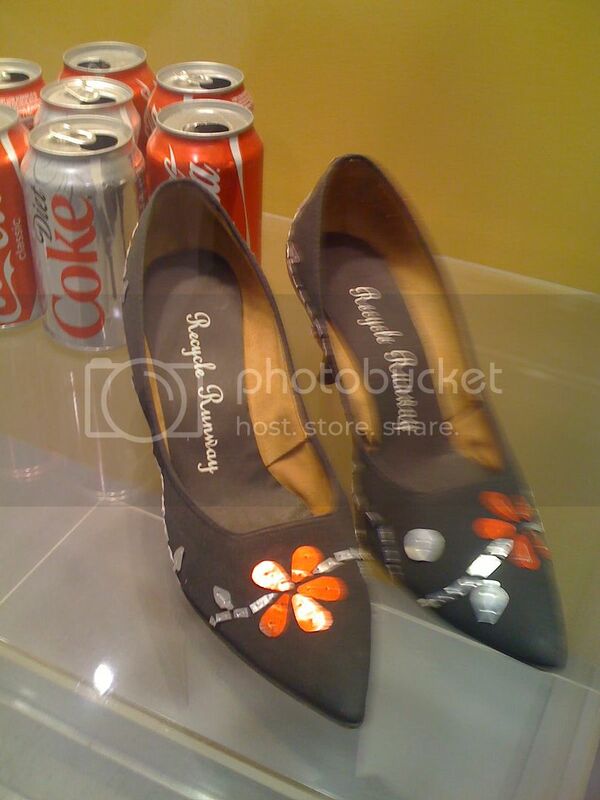 and of course no style is complete without the matching shoes and handbag…. Eco Heidi – I immediately thought of you! 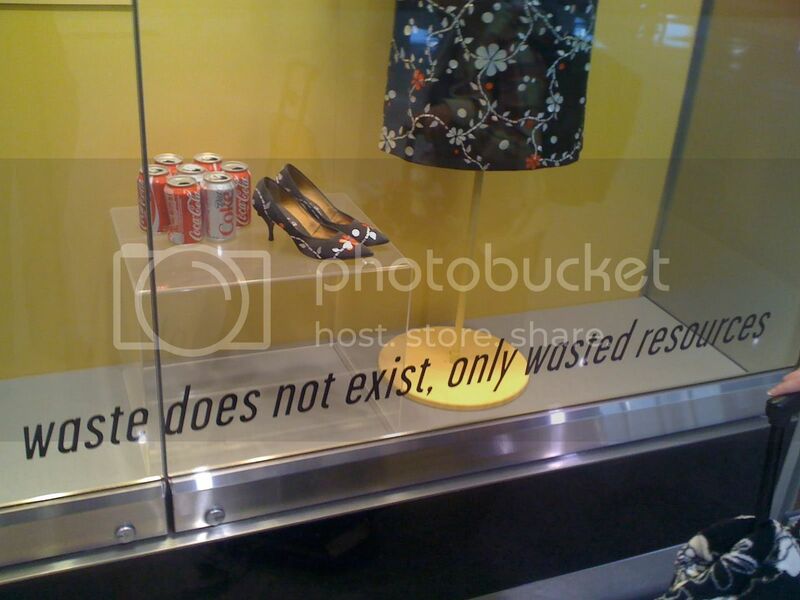 and I couldn’t agree more: Waste does not exist – only wasted resources and wasted opportunties…. 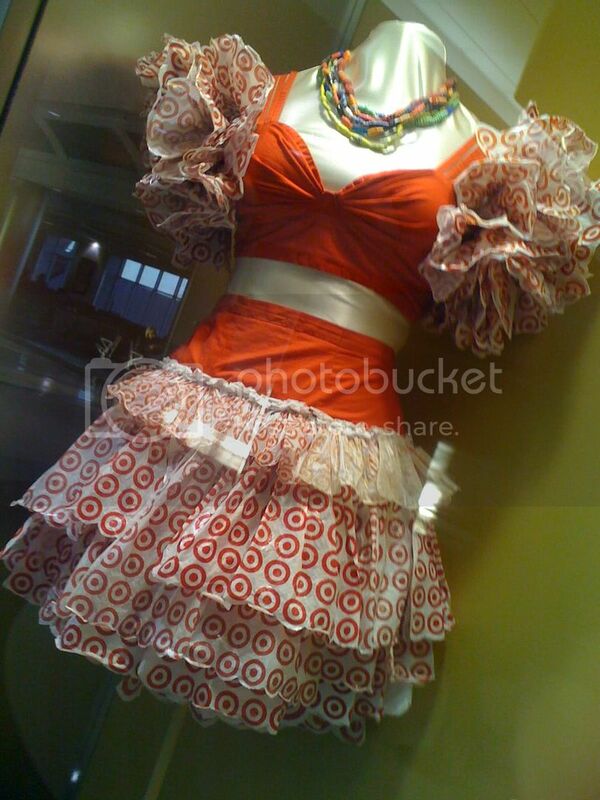 Maybe I’ll have to shop at Target more??? 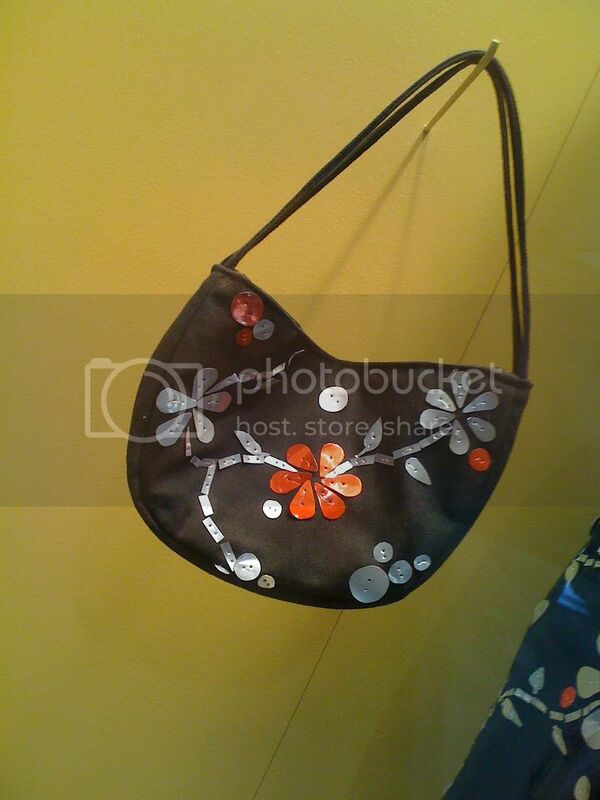 Have I give you something to think about the next time you decide to throw something out? 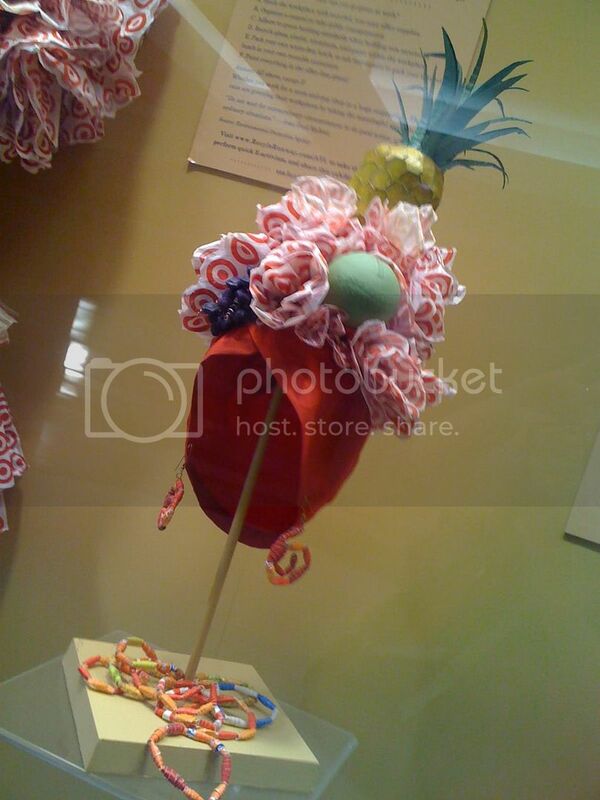 I guess craft hording can be good and with a little imagination, you can make some really cool couture…..